BodyMed's® Dual Channel Digital TENS Unit ZZAEV804 comes with 5 output modes: Burst, Normal, Modulation, Strength Duration 1 and Strength Duration 2. Featuring a patient compliance meter, low battery indicator, the ZZAEV804 has adjustable settings for pulse amplitude, pulse rate, pulse width and timer. 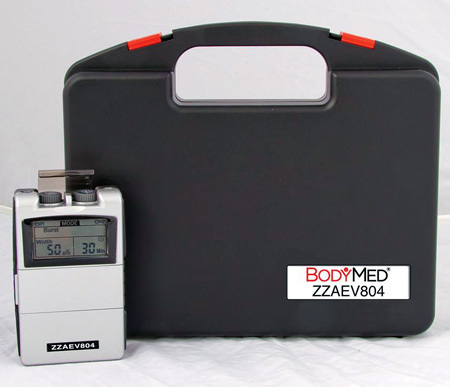 The BodyMed® ZZAEV804 also includes a built-in belt clip and carrying case for use at home or on-the-go.